You can now learn at home the secrets to Filipino knife and stick fighting with Bushindo University's Dynamic DeCuerdas Eskrima Training created and taught by GrandMaster Richard Van Donk. Our manuals are made as a step-by-step reference guide to accompany your dojo training, Online DeCuerdas Study Portal or to support the individual dvds on the same title. We consider this manual a very necessary learning tool. You can get the set of 4 or one at a time. In the Complete Set you will be sent these 4 DeCuerdas Eskrima Manuals in the mail. 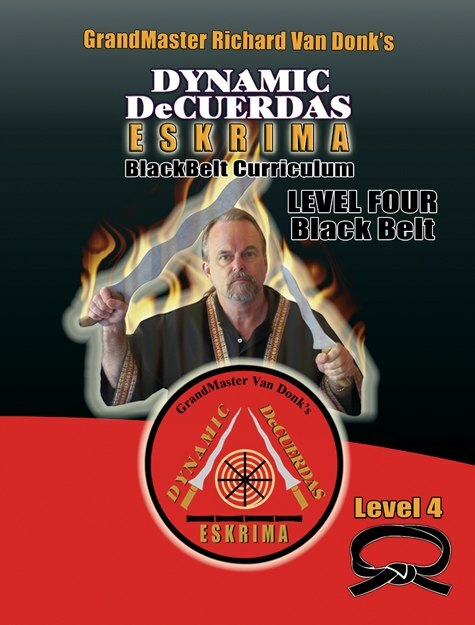 You need these 4 manuals if you are studying the DeCuerdas Eskrima art! #BK-DEL1234 $97- for all Four. Save $23- + FREE Shipping!! You will be sent these 4 Comprehensive Manuals in the mail. #BK-DEL1234 $99.95 for all Four. FREE Shipping!! 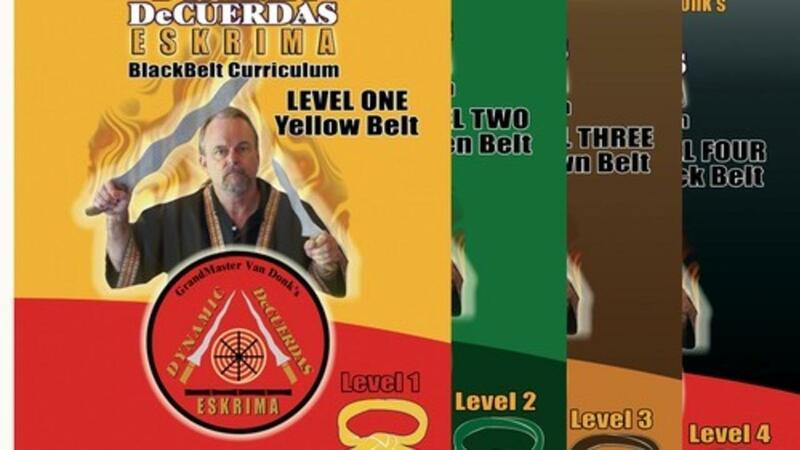 This level One - Yellow Belt manual is made as a reference guide to accompany your dojo training, Online DeCuerdas Study Portal or to support the individual dvds on the same title. We consider this manual a very necessary learning tool.